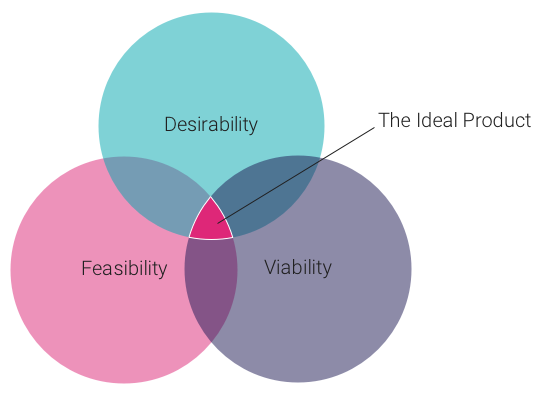 Design thinking flips this on its head… we only care about desirability, initially. By removing the constraints, we are now free to dream up and imagine any possible solution by always thinking first and foremost about the customer. We’re also keeping an open mind and ensuring we don’t make assumptions about the real customer problem or solution. You may be surprised by what you uncover going through the Design Thinking process.